Whether performing on a Broadway stage, singing in a movie musical, or hosting the Oscars, Hugh Jackman approaches them all with equal intensity. 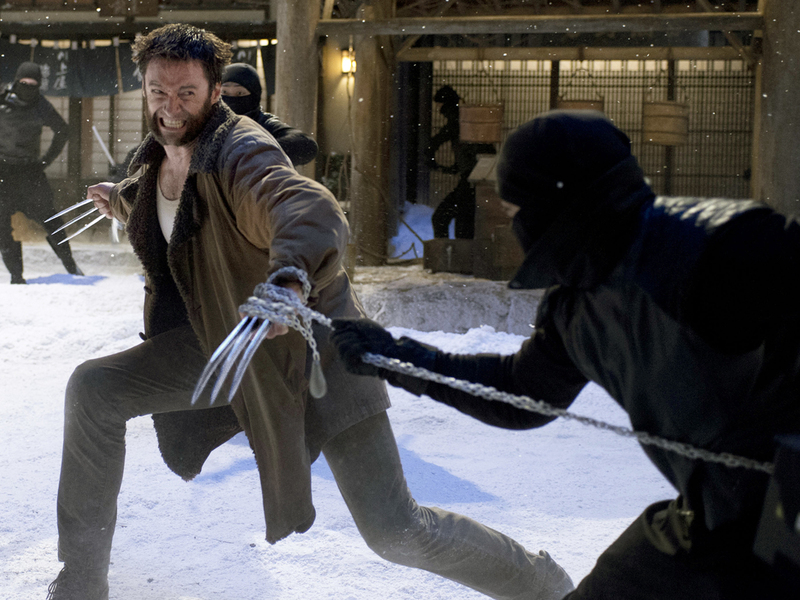 Yet, when he dons Adamantium bone claws in "Wolverine," the 44-year old actor admits that something magical happens. "I wanted to make [this movie] for 13 years when I first read that samurai story," the actor said. "I just think seeing this character in that world, juxtaposed with Japan in every way, I thought it was perfect and to see him battle with his powers, which really gives him an almost immortality." "I'm more of kind of a throwback kind of actor. This is how all actors had to make a living 40, 50 years ago," Jackman explained. "When Clint Eastwood was under (studio) contract...he would do musicals, he would do cowboy drama. "I didn't grow up with a particularly stable family life and trying to create that...is a priority for me and for my wife," Jackman said of Deborra-Lee Furness, his spouse of 17 years.